There are cars that say, I have arrived and then there is the Cadillac Escalade. It doesn’t say I’m here. It says this is my house. 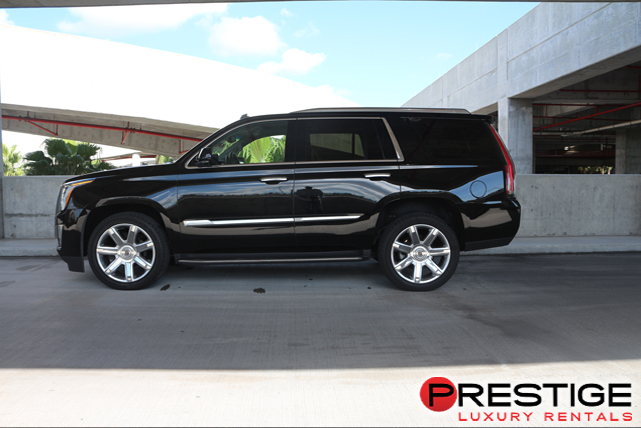 Equipped with every amenity you can dream of the Escalade is more a luxury home on wheels than a car. No other vehicle offers the security of surround vision, the convenience of wireless mobile charging, the comfort of heated and cooled front seats and the power of a 420 hp, 460 ft/lbs, V-8 engine. 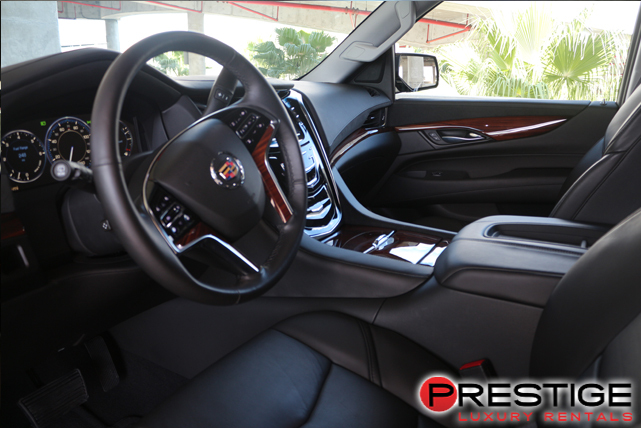 If you want to make a splash down in South Beach/Miami Beach, cruise Ocean Drive in a Cadillac Escalade Rental. We will deliver it to any Miami Airport ( Miami International Airport, Opa-Locka Executive Airport, Kendall-Tamiami Airport). It has a presents that demands attention and simply can’t be ignored. Forget that it is large and seats 7, think about how cool it is that when you open the door steps automatically extend so you don’t have to slide and climb like in other SUVs. Feel how all that extra room lets you sit in unparalleled comfort wrapped in the finest, hand stitched, leather available. Listen to the pure sound coming from the 16 speaker, Bose Surround Sound Entertainment Center. 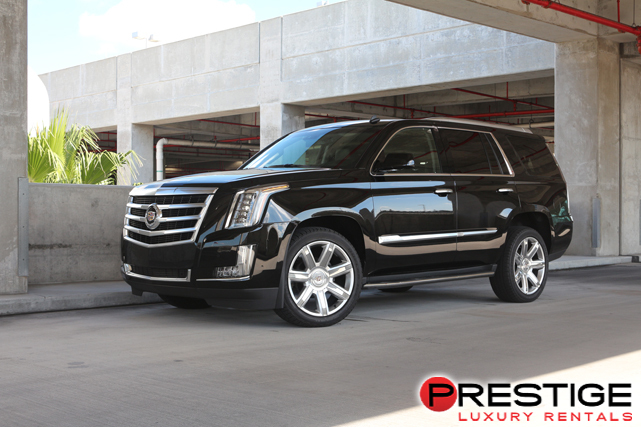 The South Beach sand may be fine, but not as fine as riding in an Escalade.